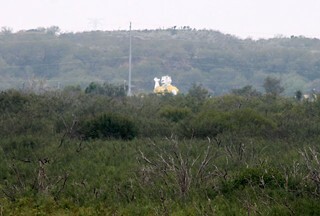 Bentsen-Rio Grande Valley State Park outside of Mission is a noisy place on misty mornings. As a thick fog begins to lift, about mid-morning, the birds chatter among the thick jungle of brush and trees. The bird feeders in the park do a brisk breakfast business. About the size of chickens, the gray chachalacas rule the roost at the seed buffets. 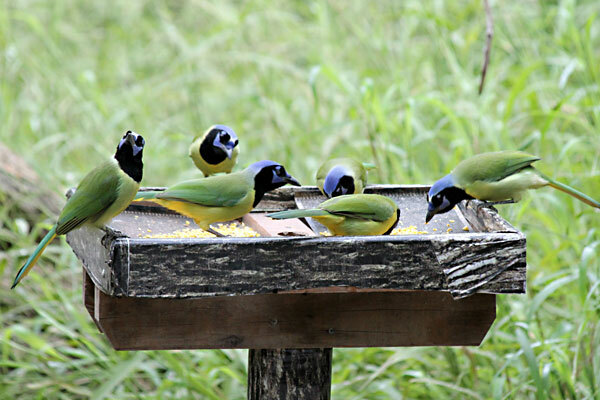 Colorful green jays and an occasional woodpecker elbow their turns at the trough. It’s a rainbow of activity as birds come and go from feeders. Driving trams that can hold a couple dozen passengers, the park rangers take tours to the most active feeders and bird blinds. Our guide, Roy Rodriguez, points out the shy kiskadee with the bright yellow breast sitting high on a branch while he tells us the park’s 71-year history. It is one of the larger tracts of native floodplain forest left intact. On the two-story Hawk Observation Tower, Roy points out a polar bear in the distance. 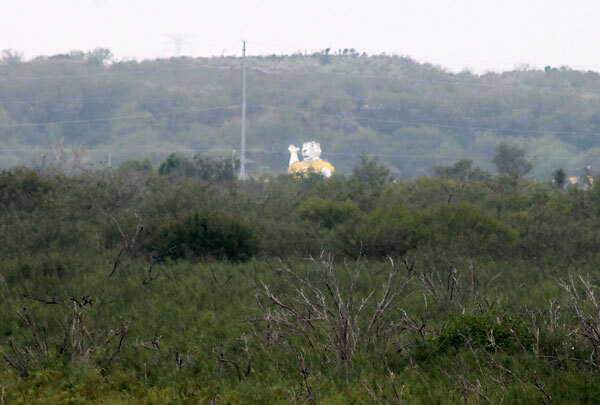 Usually a place to see large birds riding the thermals, on this day the most interesting sight was the polar bear statue waving from a flea market on the Mexican side of the border. 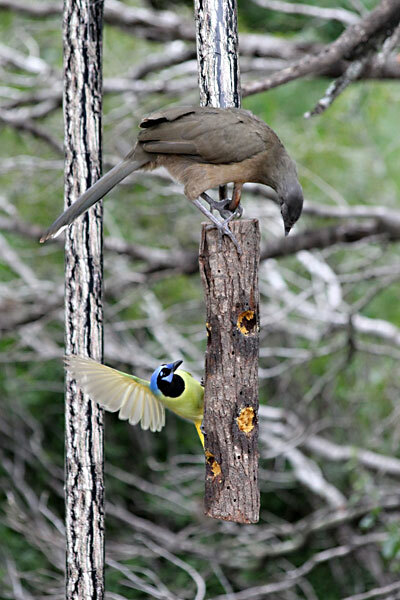 Bentsen-Rio Grande Valley State Park is the headquarters of the World Birding Center, a collection of nine nature oases in the Lower Rio Grande Valley. The park is a couple of miles off U.S. 83 at Palmview. For information, call 956/585-1107 or go to www.theworldbirdingcenter.com. 1,231st in a series. Collect them all. Day Trips, Vol. 2, a book of “Day Trips,” is available for $8.95, plus $3.05 for shipping, handling, and tax. Mail to: Day Trips, PO Box 33284, South Austin, TX 78704.